The Annamite mountains of Vietnam and Lao PDR (Laos) harbour exceptional species richness and endemism, but its wildlife is under threat from widespread and intensive poaching. The region is home to the Annamite striped rabbit (Nesolagus timminsi), a little-known lagomorph only discovered by science in 1995. A new study carried out by the Leibniz Institute for Zoo - and Wildlife Research (Leibniz-IZW) in collaboration with WWF-Vietnam, WWF-Laos, and the Central Institute for Natural Resources and Environmental Sciences (CRES) of the Vietnam National University, provides the first detailed information about the species ecology. The study is published in the international journal Oryx. 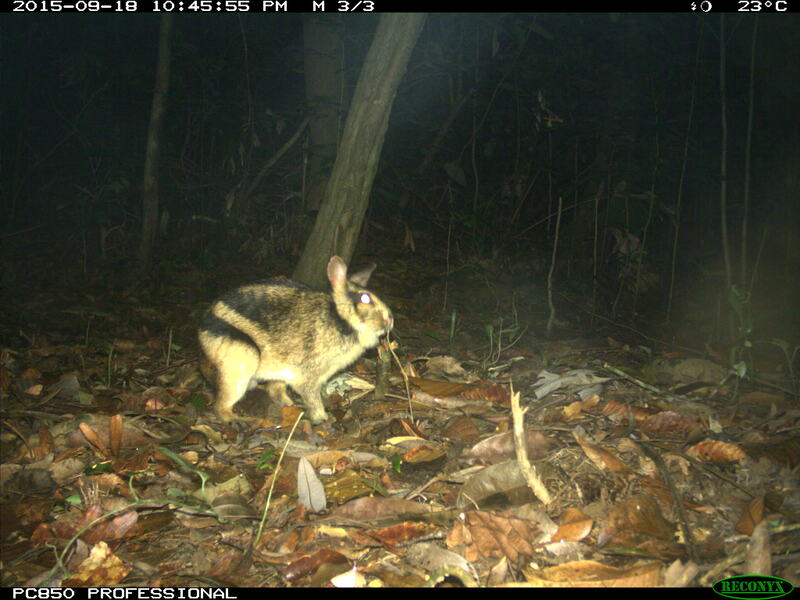 The researchers used camera-trapping to study the Annamite striped rabbit in five areas of Vietnam and Laos. Camera traps placed across the landscape showed that although the rabbit occurs in all areas, the species was no where common, and in one protected area it appears to be approaching local extinction. These results show that the intensive poaching in Vietnam and Laos, accomplished by setting wire snares, has clearly impacted striped rabbit populations. However, the fact that it still occurs at all in a region that has experienced such intensive snaring provides hope that, with effective anti-poaching efforts, these populations could recover.